How vehicles see is fundamentally changing. Safety and perception systems like cameras, LiDAR and other sensors are the driving force behind ADAS and AV technologies, yet these vehicles can’t see when their systems are blocked by ice, dirt and bugs. This is why Diane and Jere Lansinger, a father-daughter founding team with Midwest automotive muscle and Silicon Valley hustle, founded SEEVA Technologies. While the team has grown, the mission is still driven by the pursuit of realizing our autonomous vehicle future. To do this, team SEEVA is building the SEEVAtherm Family of Products. A family of products for commercial and passenger vehicle perception. The SEEVAtherm Family of Products today consists of four core technologies - SEEVAtherm HD, PV, ADAS, and AV - built for commercial and passenger drivers and automated driver systems. SEEVAtherm systems improve safety and increase vehicle uptime by rapidly heating and distributing standard washer fluid to flash-clean perception surfaces like windshields, headlamps, cameras, and LiDAR in fractions of a second. 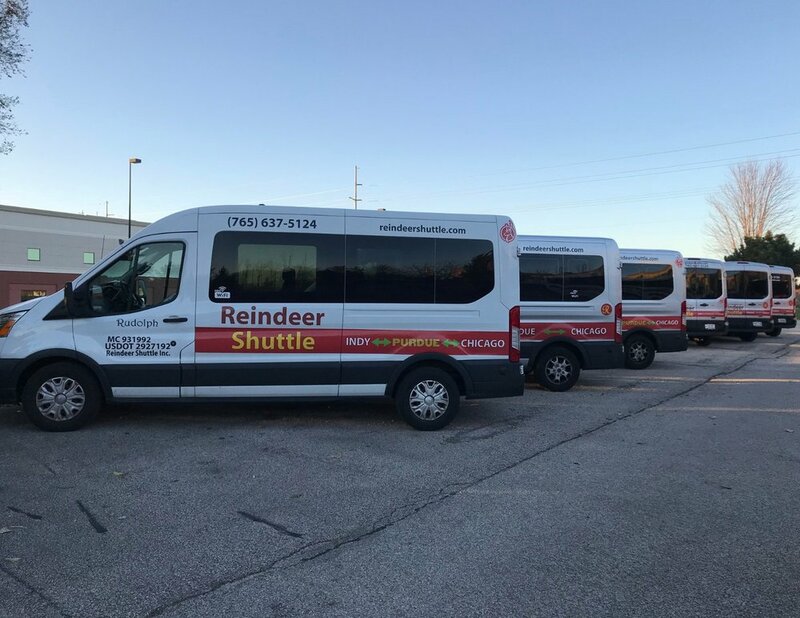 "Reindeer Shuttle offers ground transportation to passengers traveling between Chicago O'Hare International Airport, Purdue University, and the Indianapolis International Airport. We’re in the business of getting our customers to their flights, and school, on-time and we’re proud of everything we do to ensure we meet and exceed scheduled drop-off times. However our teams still encounter tough driving conditions like snow, ice, and mud during the winter, along with bug swarms during the summer, that can cover a vehicle’s windshield and slow down our fleet’s entire schedule. When we discovered the SEEVAtherm Standard HD we were excited about it because it helps eliminate the need for drivers to exit their vehicles and manually clean off their windshields. We believe the product is so effective at what it does because it uses heated washer fluid to quickly and easily remove all debris off a windshield. At Reindeer, we evaluate new products and technologies to incorporate into our fleets that help to ensure we’re providing the best experience possible to our employees and customers. SEEVAtherm Standard HD improves the driving experience all around and helps increase our fleet's uptime. We love hearing from you. Follow SEEVA Technologies or drop us a line below. Job applicants, click here to submit your resume. SEEVA Technologies is a proud graduate of Techstars Mobility.